Hours after a San Jose police officer was killed in the line of duty, the man who ambushed him and then held police in a standoff overnight was found dead. Now, tributes are pouring in for the 14 year veteran of the force. SAN JOSE, Calif. (KGO) -- Hours after a San Jose police officer was killed in the line of duty, the man who ambushed him and then held police in a standoff overnight was found dead. The officer killed was 38-year-old Michael Johnson, a beloved 14 year veteran of the force. The man accused of killing him, 57-year-old Scott Dunham, was found dead Wednesday morning on his apartment balcony after a standoff that lasted more than eight hours. A memorial tribute is growing at the San Jose Police Department as friends and loved ones leave flowers in memory of the fallen officer. Law enforcement officers from neighboring agencies are gathering at police headquarters where flags are at half-staff as the San Jose force mourns its first fallen officer in 14 years. The devastating loss has left fellow officers shaken. "Officers are obviously crying, grieving, they will do so for quite some time as will many of us in the department," said Officer Albert Morales. "Our hearts, our prayers go out with the family of Michael, our brother." Police say Johnson was shot without warning. He and a few other officers responded to an apartment on Senter Road around 6:45 p.m. Tuesday when a woman called to say she was worried about the man living there -- 57-year-old Dunham. 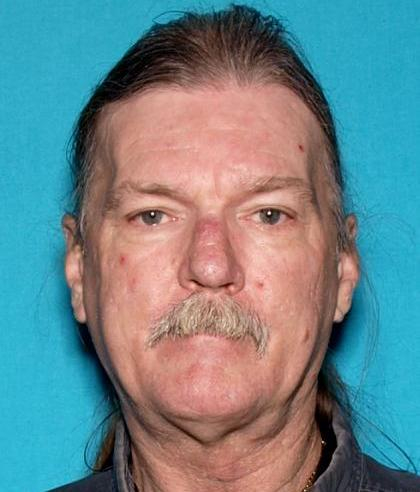 Police say 57-year-old Scott Dunham shot and killed an officer in San Jose, Calif. on March 24, 2015. "The initial info we had was he was despondent, that he had a gun, and that there was some mention about him wanting to kill himself," Morales said. Police say Dunham fired on the officers when they arrived, killing Johnson. Officers fired back but didn't know whether they hit Dunham or not. "We didn't know what it was, we heard the boom boom," said Johnny Lewis. Lewis lives next door to Dunham. His two grandkids -- 4-year-old Legacy and his 5-year-old sister -- were visiting Tuesday night when it happened. San Jose police escorted the body of fallen Officer Michael Johnson from the coroner's office to a funeral home in Los Gatos. "I just grabbed my grandkids and got on the floor and away from the window so it was kind of scary but everything was happening so fast," Lewis said. Police then surrounded the building, brought in the SWAT team, and proceeded slowly and cautiously. It wasn't until 3:30 a.m., about eight hours later, when they discovered with a robot camera that Dunham was dead on his balcony. "It's a good possibility he was dead the whole time," said Chief Larry Esquivel. "There was no contact or any dialogue, any communication with any of our officers after that." "Just really shocking, you know, I never would have imagined that it would have been him," Lewis said. Lewis says he never saw any signs that his neighbor was depressed. His daughter, Vaneta Lewis, says Dunham was always friendly to her. "He spoke to you every day," she said. "He'd say, 'hey how you doing' every day. He wasn't the type of person to have an attitude. So, how do you go from being a nice person to a killer?" Early Wednesday morning, police cars lined up on Senter Road in a procession to lead his body away from the crime scene. Frank Santiago saw the heavy police presence on Tuesday night. He heard there was a shooting and worried about his longtime friend. "I texted him," said Santiago. "I said, 'hey you okay bro?' And I never got a response." Santiago finds it hard to believe a man he's known since he was a teenager is gone. The two trained together in martial arts. Santiago describes him as a great friend who loved serving his community. Officer Michael Johnson was shot and killed in San Jose, Calif. on March 24, 2015. "Outside of the school, outside of his uniform he was just a normal guy with the biggest heart that you can imagine," he said. On Wednesday, agencies all over the Bay Area wore a black band over their badges. Condolences are pouring in. Johnson's own police department tweeted a solemn goodbye this morning. It says "Rest in peace fallen brother Michael Johnson #3718." This is the first San Jose police officer to be killed in the line of duty since 2001. Officer Jeffrey Fontana was shot to death during a traffic stop. In a strange coincidence, Fontana and Johnson were in the same police academy class. 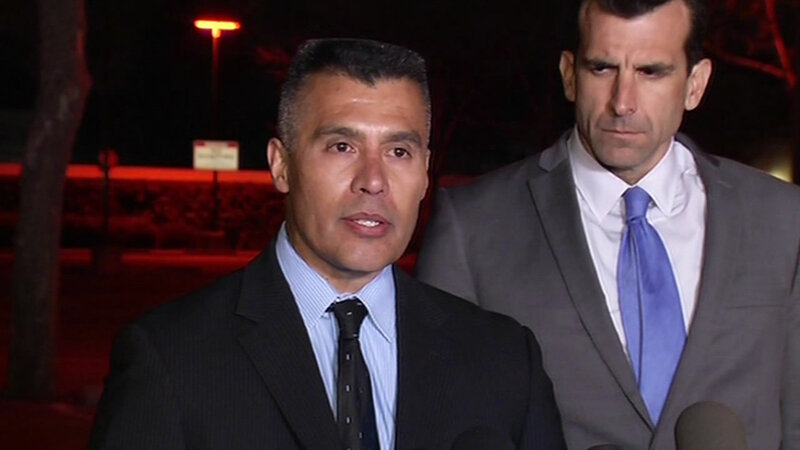 The San Jose Chief of Police Larry Esquivel and San Jose Mayor Sam Liccardo spoke at a press conference about the fatal shooting of an officer. In a statement, the San Jose Police Officers Association called the suspect a coward. They wrote: "The men and women who make up the San Jose Police Officers' Association are grieving the loss of one of our brothers, Police Officer Michael Johnson a 14-year veteran, who was murdered last night while responding to a 911 call. Our thoughts and prayers go out to Officer Johnson's family and friends, who was tragically struck down in the prime of his life protecting and serving the residents of San Jose." 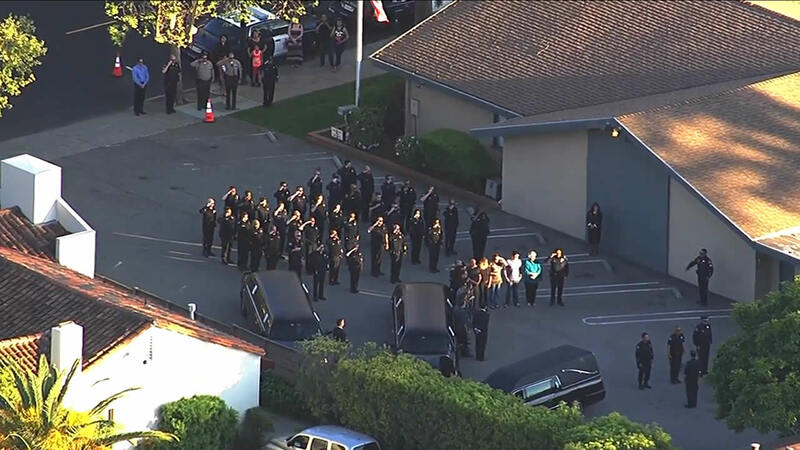 They went on to say: "Even in this time of grief the men and women who make up the San Jose Police Department are on the job trying to apprehend the coward who perpetrated this horrific crime and make sure no one else is harmed." When asked whether Dunham was shot and killed by police or if he took his own life, the police chief said they're still working out all the details on the case and determine how he died. Officers are continuing to gather evidence and talk to witnesses. They say this is a very difficult time. "Last night Officer Michael Johnson of the San Jose Police Department was shot and killed while trying to help the community he loved. We are deeply saddened by his loss and cannot express in writing how deep a hole in our hearts we are left with by his passing. We appreciate all of the thoughts and prayers we have received from the community, both near and far and take comfort in your sharing our pain and in your recognition that police officers lay it on the line day in and day out as they work to make the world a better place. This is the statement the family intends to make and greatly appreciate having the space we need to allow our family to grieve and heal in private. We love you Mike our husband, son, brother, uncle and hero. Governor Jerry Brown also released a statement on Wednesday. It reads: "Anne and I extend our deepest condolences to Officer Johnson's family, friends and fellow officers. Officer Johnson will be remembered for his courage and dedicated service and we join the entire San Jose community in mourning this tragic loss." If you would like to extend your condolences to the officer's family and the San Jose Police Department, click here. We've posted a badge on Facebook for you to share, to honor his memory, and his service.